"India has been turned into a vast internment camp and a number of Indians abroad have been successfully locked out. Respectable citizens have been prevented from leaving India even for purposes of health, business or travel." 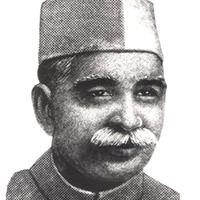 Mukhtar Ahmed Ansari was an Indian nationalist and political leader, and former president of the Indian National Congress and the Muslim League during the Indian Independence Movement. 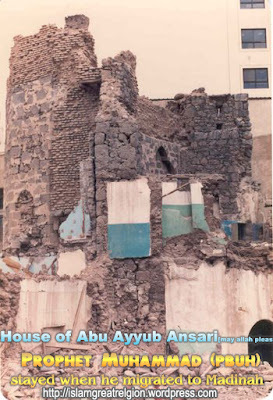 The ancestors of Mukhtar Ahmad Ansari came to India during the reign of Sultan Muhammad Bin Tughlaq. The family started its career serving in the royal army and holding respectable posts in the court. It settled at Yusufpur, now in the Ghazipur District of U.P. The Ansaris of Yusufpur managed to hold respectable governmental positions. Qazi najmuddin siraj was appinted chief justice of qazipur siraj by humayu khwaja md hayat urf haji kamilkhwaja mobin urf mittion came along with babur in 1526 to panipat . 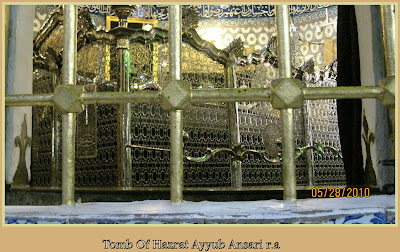 In the period of hazrat usman Ghane hazarat ayyub’s son abdurrahman came to khurasan(iran) alongwith islamic army led by ahnaf ben qais and he settleed there.khwaja ismail abdullah urf perre hirat wasd his great grandson peere-e-hirat descedant khwaja najmuddin siraj and his brother khwaja mobin come to sndia with babur when he conqured panipat and moghul dynasty was established in india. 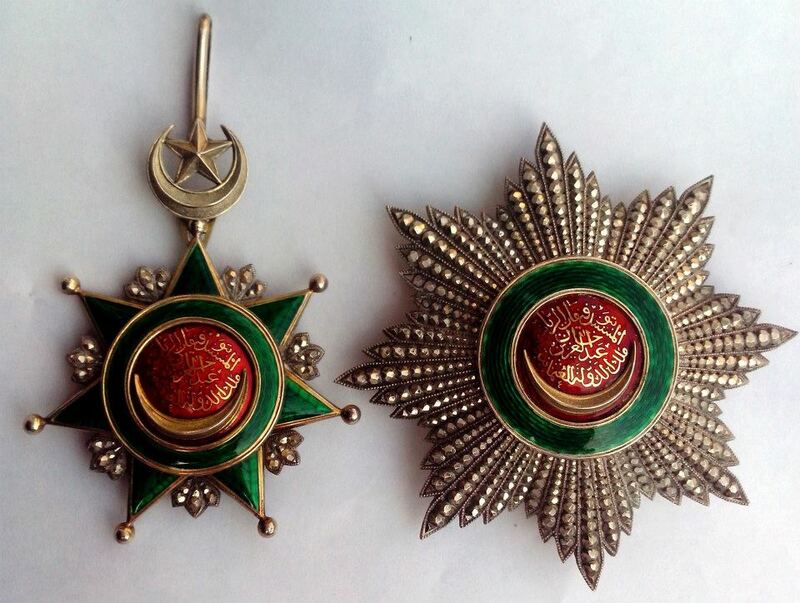 Khwaja siraj and his brother was among babur’s courts. In 1526 khawja siraj was apponted chief justice of qazipur siraj by humayun, he had no male issue therefore his nephew hamuddin sadullah urf qazi yusuf who was married to his daughter fatima bibi was appointed qazi by akbar after his death. Yusufpur was named after him. 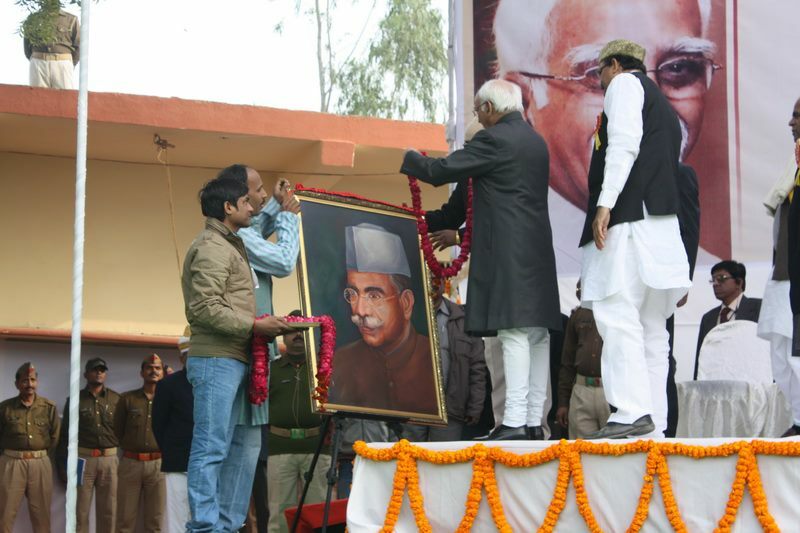 But by the time Mukhtar Ahmad Ansari was born on December 25, 1880, the prosperity of the family was on the decline. 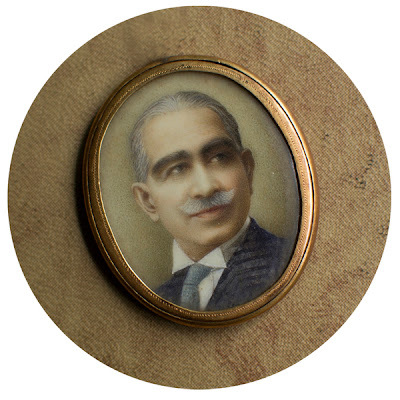 Educated at the Victoria High School, Ghazipur in 1896, Mukhtar Ahmad moved to Hyderabed where his two brothers were in the service of the Nizam, for his university education. 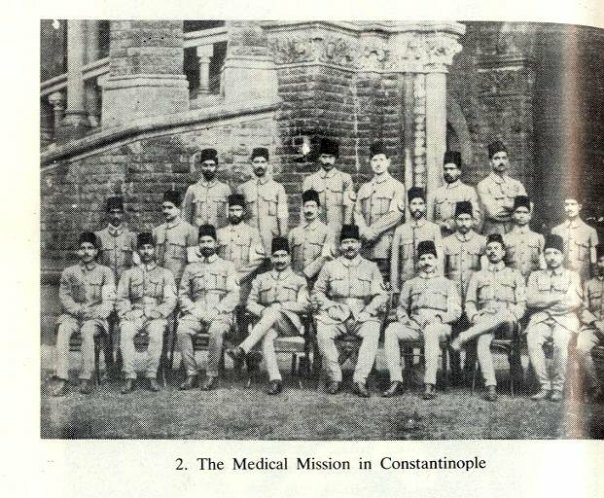 Immediately after his graduation in medical science from Madras Medical College, Mukhtar Ahmad proceeded to England on a Nizam State Scholarship for higher medical education. He qualified for M.D. and M.S. in 1905, topping the list of successful candidates, by virtue of which he was the only Indian to be appointed Registrar, Lock Hospital, London. He was a top-class student and worked at the Lock Hospital and the Charing Cross Hospital in London. He was an Indian pioneer in surgery, and today there is an Ansari Ward in the Charing Cross Hospital in honour of his work. 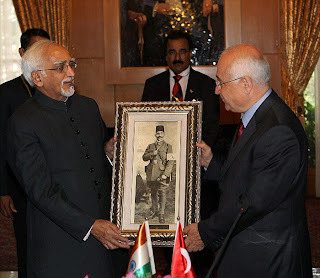 During his long and fruitful stag in England Dr. Ansari was drawn into the Indian national scene by meeting and developing intimate relations with some Indian national leaders who used to visit London quite frequently. It was in London that he met and became a life-long friend of Motilal Nehru, Hakim Ajmal Khan and young Jawaharlal. In spite of the ample opportunities for him to continue in a comfortable life abroad Dr. Mukhtar Ahmad Ansari returned home in 1910. 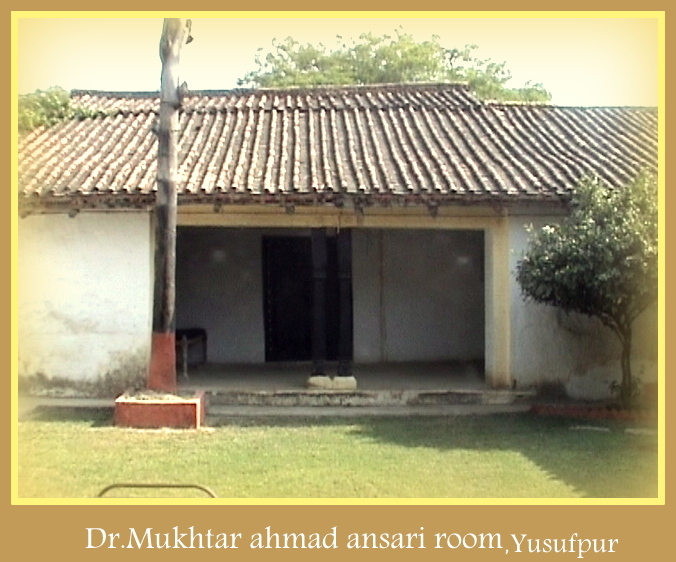 After a short may at Hyderabed and his home town, Yusufpur, he established his medical practice in Delhi. Soon after, Dr. Ansari started taking part in active politics. The first move in this direction was his leading, in December 1912, the Ansari Medical Mission to Turkey to provide medical and surgical aid to the fighting Turkish army in the Balkan War. 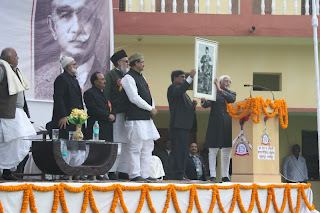 Although the mission was organised by Muslim leaders, it paved the way for the Indian national leaders to put India on the world map by advocating and fostering international understanding. 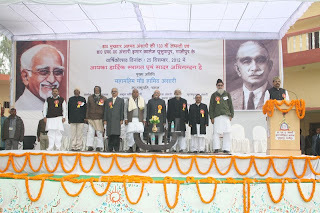 This was the period when the Congress and the Muslim League were close in their political goals and one did not find it difficult to express oneself simultaneously from both the platforms. Thus, Dr. Ansari succeeded in establishing himself in both circles, and played an important role in the negotiation of the 1916 Lucknow which the Muslim League and the Congress agreed upon the idea of proportional representation. 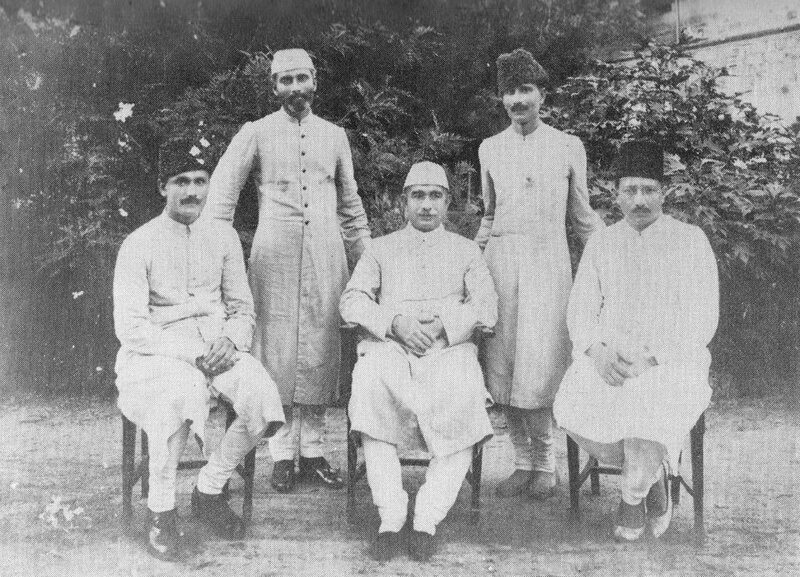 In 1918 he presided over the annual session of the Muslim League held at Delhi. His Presidential Address was proscribed by the Government because of his bold and fearless stand in it for the cause of the Khilafat and his unconditional support to the demand for complete freedom. 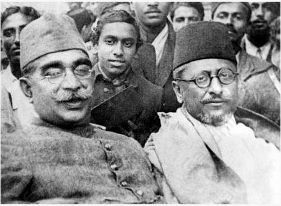 Again in 1920 he was the President of the Nagpur session of the All-India Muslim League; at Nagpur also met at the same time the Indian National Congress under the president-ship of Vijayaraghavachariar of Madras, and the All-India Khilafat Committee with Maulana Abul Kalam Azad as its President. A joint session of all the three organisations was held. 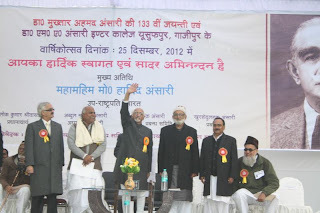 Like in the Muslim League, Dr. Ansari held a high position in the Congress also. For almost all through his life he was member of its Working Committee. 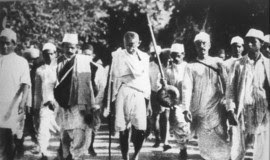 He was its General Secretary in the years 1920, 1922, 1926, 1929, 1931 and 1932, and President in 1927 (Madras Session). On question of entry in the Council to the government from inside Dr. Ansari remained with Gandhiji in the camp of the 'no-changers' who were against the entry. 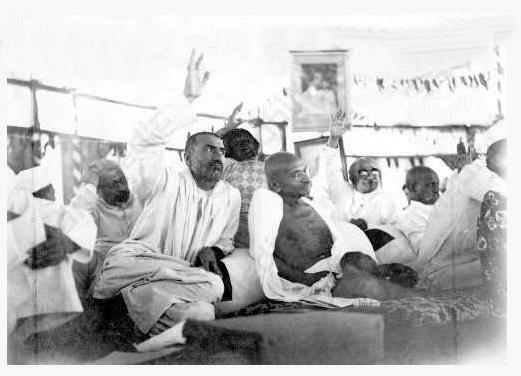 His personal relationship, however remained unsevered with the 'pro-changers', prominent among them being Pandit Motilal Nehru and Vithalbhai Patel. His Delhi Palatial house, 'Darus-salam', the Abode of Peace, was for all practical purposes like Congress House. Gandhiji used to stay there whenever he visited Delhi. 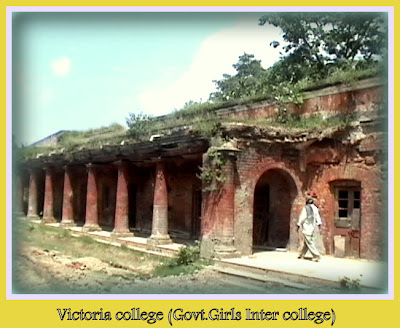 them being the Jamia Millia Islamia, New Delhi and the Kashi Vidyapith at Benares. From its inception on October 29, 1920 Jamia Millia Islamia had the unconditional support of Dr. Absari. 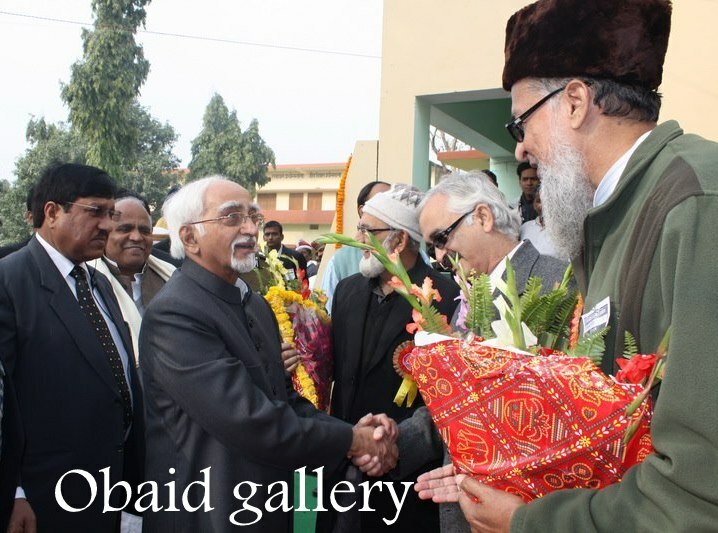 He was elected its Chancellor after the death of its firm Chancellor, Hakim Ajmal Khan. Impressed by the political and social services of her husband Mrs. Ansari a devout and orthodox Muslim, also took a keen interest in the uplift of Delhi Women. On the night of May 10, 1936 when he was returning from Mussoorie where he had gone to pay a professional visit to the Nawab of Rampur, Dr. Ansari heart beat for the lad time in the railway compartment. The news reached Delhi before the train brought his body back which was finally laid to rest in the lap of his beloved Jamia Millia Islamia. 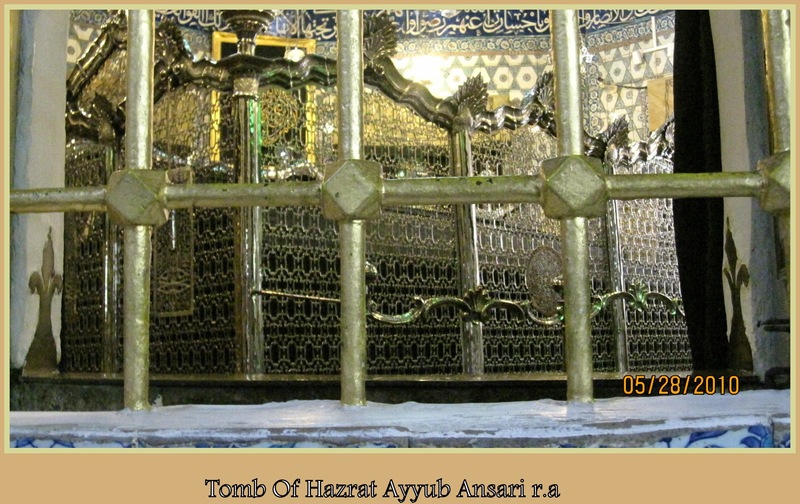 A Ghazipuri Sufi ...Hazrat Shah Junaid Qadri r.a.